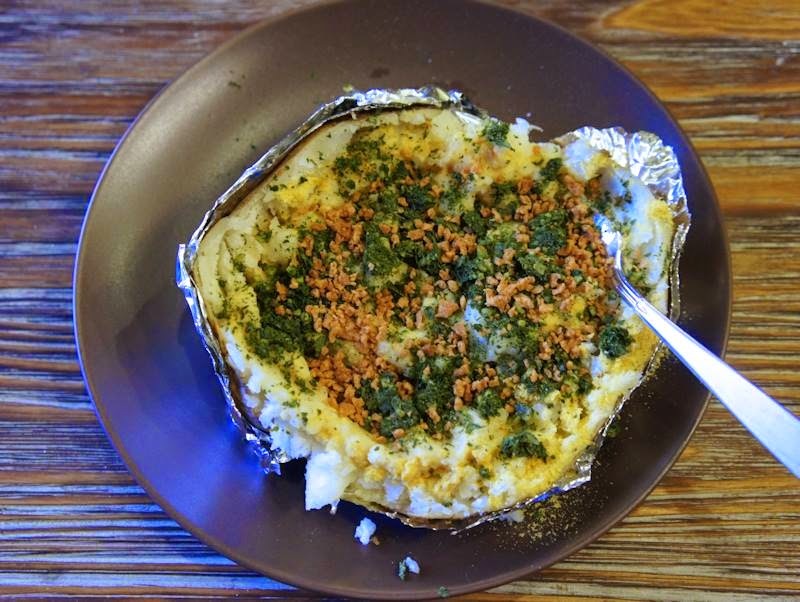 Baked Potatoes make an easy meal. The problem with baked potatoes is that you lose the nutritional benefit when you fill them with butter, sour cream, bacon, and cheese. This one is equally delicious with nutritional yeast flakes (lots! ), unsweetened non-dairy milk, homemade vegan bacun bits (recipe to follow), a pinch of Himalyan pink salt, and crushed kale chips. SO delightful! Whisk together the salt and water, until salt is fully dissolved. Add liquid smoke and mix. Add tvp and stir well to distribute liquid evenly, until all liquid has been absorbed. Spread on a baking sheet and bake at 250°, stirring frequently to prevent burning, for 15 minutes or until fully dehydrated and crispy. Allow to cool fully and store in an airtight container.